One of the cutest pictures your child will take is the one with that full, beautiful smile with that gaping hole where his or her missing first tooth should be. It serves as a reminder that that first set of baby teeth won’t last forever. However, the doctors and staff at DuPage Pediatric Dentistry (DPD Smiles) believe it’s as important to take care of those first teeth as it will be to take care of the permanent ones that follow. We want to take care of our littlest Glen Ellyn area patients’ teeth now so that they will reap the benefits of positive oral health well into their adult lives. Your baby teeth have some very important jobs. For starters, they are the primary means for you to bite, chew and speak throughout your childhood. They are also the guides for the permanent adult teeth holding the space for your “grown-up” teeth to take their place. The tops of the permanent teeth actually push against the roots of the baby teeth causing them to melt away. 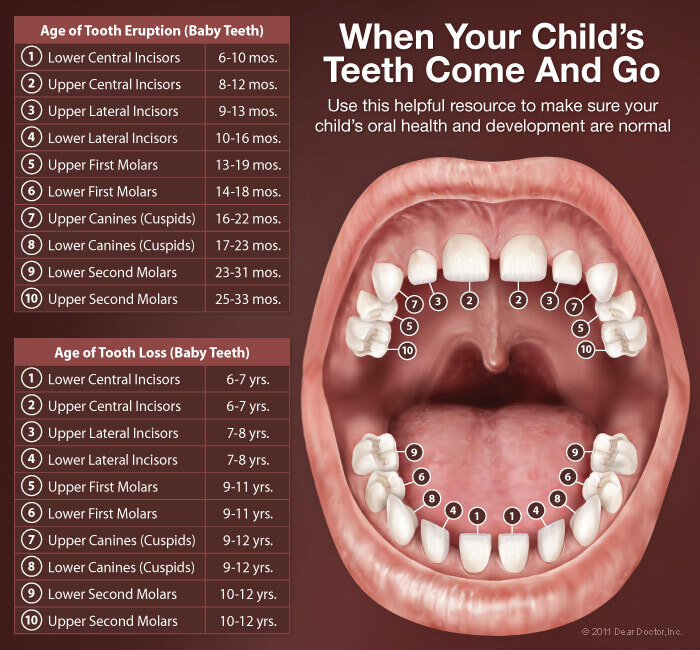 At DPD Smiles, we want to make sure those baby teeth stay healthy and are lost naturally, in their own time. 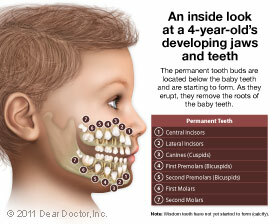 As early as three months, you’ll start to see the first of your child’s 20 baby teeth appear. The two lower front teeth usually come in first and then the two upper teeth. The first molars are next, followed by the canines (eye teeth). 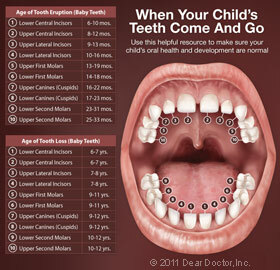 All teeth are usually in by the time your baby turns nine months old, though it sometimes can be as late as 12 months. If your baby experiences some soreness as these teeth erupt, give our Glen Ellyn office a call for help. Our experts recommend that you gently wipe your baby’s gums and newly erupting teeth after each feeding with a water-soaked gauze pad or damp washcloth. When your child turns two, begin brushing your child’s teeth daily with a small, soft-bristled toothbrush and a tiny amount of fluoridated toothpaste. As your child grows, teach him or her how to brush properly and keep a twice daily brushing routine. At DPD Smiles, we look forward to seeing your child the first time by his or her first birthday, as recommended by the American Academy of Pediatric Dentistry. Our staff specializes in working with little ones like yours and we can teach you and them the best pediatric oral hygiene techniques as well as check for cavities and inspect for any developmental challenges. Most of all, our friendly doctors and staff will make sure your child has a positive experience at our office and will be a regular visitor for years to come. The doctors at DPD Smiles will want to see your child for every-six-month check-ups so that they can continue to examine your child’s teeth and monitor them for any potential orthodontic challenges. 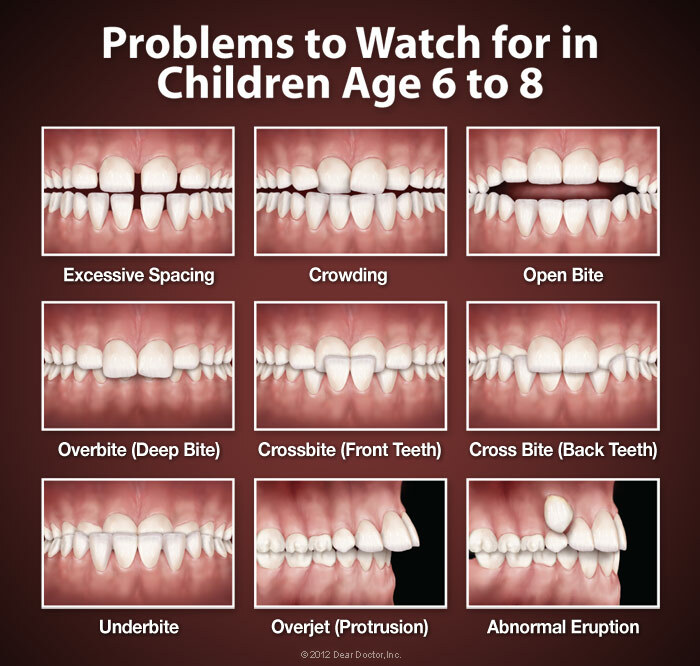 Early diagnosis of these potential problems can help plan treatment and even help direct proper tooth positioning and/or jaw growth. This can help eliminate make later orthodontic treatment easier, or possibly eliminate it altogether. The doctors at DPD Smiles have seen way too many mouth and teeth injuries due to participation in sports without a mouthguard. That’s why we highly recommend a custom-made mouthguard for your child active in sports. According to the American Dental Association, an athlete is 60 times more likely to suffer dental harm when not wearing one of these protective devices. Using a model of your child’s teeth, we’ll construct a mouthguard that will be more comfortable and fit properly to protect your child’s oral health. It's an investment that can pay off in reduced pain, suffering and potential dental expenses. Make Your Appointment in Glen Ellyn Today!